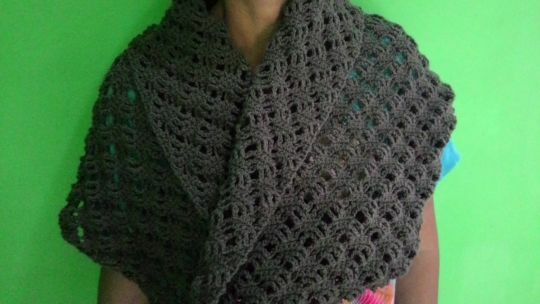 I got the pattern from Amazing Crochet Lace under the creation of Allegheny Moon Mobius. It’s a rectangle with half twist and seamed together at the short sides. I made the basic chains longer as I wanted it bigger than the size stated in the pattern. That is so pretty. What yarn did you use? beautiful pattern and stitch technique! love this! I think it would be a great item to bring on an airplane! And it would be so versatile on any trip!